YOGA/CONFERENCE ROOM: Large multi purpose room for meetings, YOGA, conferences, table tennis and more. PARTIES: Book the building for movies/video games on the big screen, soccer, golf or any other activity. 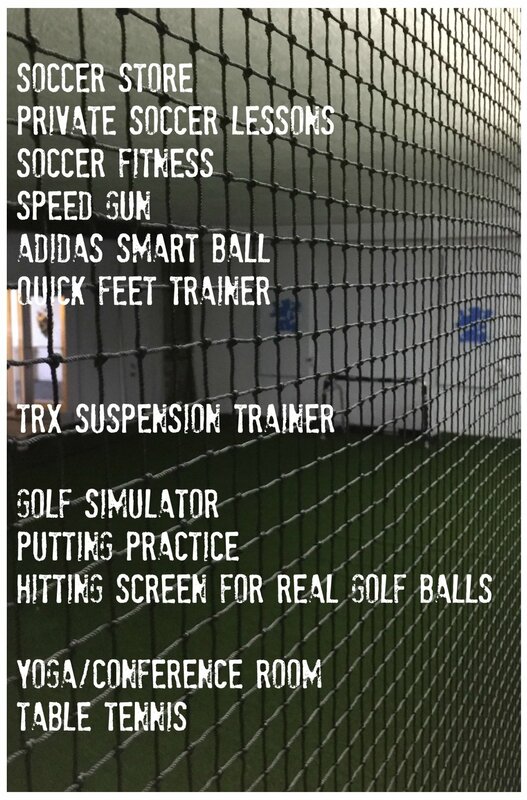 FITNESS: We run soccer/other sports specific fitness sessions for children and adults. Prepare to play soccer or use our soccer drills as a fitness tool.